If you’re not at least slightly familiar with the Kardashian family, you’ve been living under a rock for the past couple decades. The late Robert Kardashian —who defended O.J. Simpson— and his family have been at the center of the media’s spotlight since the famous trial. Robert Kardashian’s children have now grown up and have their own families as well as multiple reality TV series. Recently, never-before-seen childhood photos of the Kardashian kids were released, and they’re just as amazing as we’ve always imagined. 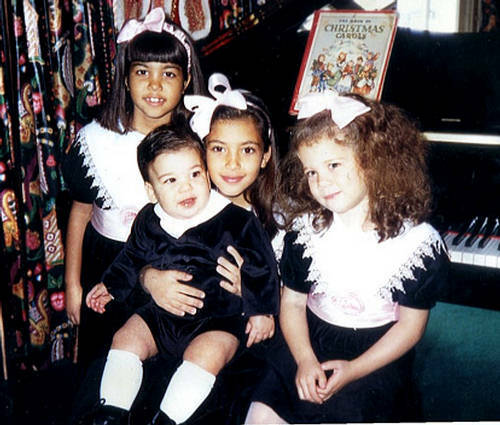 Check out these 20 nostalgic pictures of the Kardashians. The Kardashian kids, Kim, Kourtney, Khloe, and Rob, pose for a photo in matching outfits in front of their piano. How adorable is this?